Speaking to 300 employees of the motorsport department, Chairman of the Board of Management Rupert Stadler announced that the Board of Management had decided to terminate Audi’s commitment in endurance racing, saying that it was important to focus on the things that would keep Audi competitive in the years ahead. Audi Sport, which entered the sports car arena in 1999 with its R8, won Le Mans 13 times, first with the R8, the with the diesel-powered R10 and R15, and finally with its hybrid diesel-electric R18. Audi was the first factory to successfully campaign a diesel-powered sports car, and the first to win both Le Mans and the World Endurance Championship with a four-wheel-drive, electric-diesel hybrid. The factory also won the World Endurance Championship twice in the five years it existed. Audi became the benchmark; to run like Audi meant to be completely organized, completely prepared, and able to overcome any difficulty and succeed. 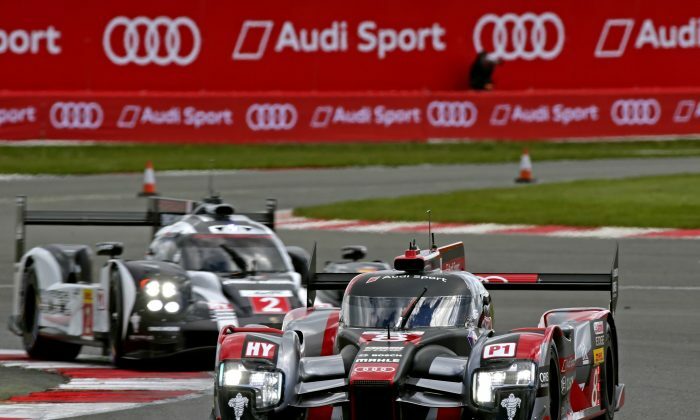 From 2000 through 2014, Audi was only defeated at Le Mans twice. Audi also won the American Le Mans Series championship nine times running, from 2000–2008. To date, Audi prototypes have contested 185 races, claiming 106 victories, 80 pole positions and 94 fastest race laps. Audi introduced its “clean” diesel in 2006, to support the sale of diesel-engined Audis for the street, and found immediate success, winning Le Mans four times straight. Peugeot, Audi’s only factory rival, also introduced a diesel motor, and the pair battled for higher horsepower and torque along with greater reliability. Those diesel power plants proved to be Audi’s undoing, in some ways. Peugeot pulled out suddenly just months before the start of the 2012 season, unable to justify the cost of sports car racing at the highest levels. Toyota stepped up to fill the void—but Toyota didn’t have a diesel engine in its street cars, so it had no reason to build one for racing. Porsche later joined the fray, also with a gasoline engine. As the FIA, the sport’s governing body, began writing rules slightly more favorable to gasoline-engined cars, Audi found itself losing out to Porsche and occasionally, Toyota. FIA refueling regulations ended up costing Audi precious seconds at every pit stop and because of fuel-tank limits, cost Audi some range between pit stops. The rules also favored increased hybrid power. Because its diesel engine was heavier than its rivals gasoline engines, Audi chose to run lighter, less powerful hybrid systems. Its rivals, with more powerful hybrid systems, overmatched any advantages the diesel engines gave Audi in low-end toque and acceleration. Then, Volkswagen (part of the Volkswagen-Audi Group (VAG) which also owns Porsche) got caught in “Dieselgate” where it was revealed that Volkswagen had deliberately deceived emissions testers, which resulted in a $14.7 billion fine for VAG. For manufacturers, sports car racing the highest level is a promotional exercise. For Audi, with VAG’s diesel emissions malfeasance, the general lack of appeal of diesel Audis to consumers, and the rules no longer favoring diesels, the company found the return on its investment in sports car racing dwindling. Meanwhile, VAG’s Porsche division, its image untouched by the Dieselgate scandal, joined the World Endurance Championship in 2014, winning Le Mans in 2014 and 2015 and the WEC title in 2015. With Porsche being primarily known as a sports car manufacturer, its brand stands to benefit more from its racing successes than did Audi’s. Audi Sport will remain active in racing. With its R8 LMS GT car, it has one of the most effective customer-car programs. The company is also active in DTM (Germany’s national racing series, sort of its NASCAR or Australia’s V8 Supercar series) and sponsors a rallycross team. Audi’s next big racing commitment will come in the all-electric Formula E series. Audi will be offering its first all-battery electric car starting in 2018. To publicize its efforts, the firm currently sponsors Team ABT Schaeffler Audi Sport. Audi is interested in getting more involved in the technical development of the series, which so far has not attracted much attention since its first race in 2014. Currently all Formula E teams use identical chassis, the Spark-Renault; teams are allowed to build their own electric motors and gearboxes, all powered by identical battery packs. Audi apparently feels it can get more exposure, and develop more technology applicable to its street cars, through racing in Formula E—and at a vastly lower cost.